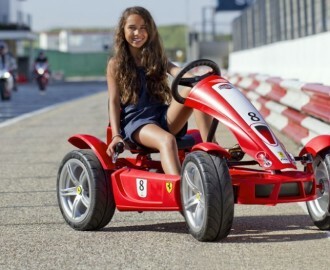 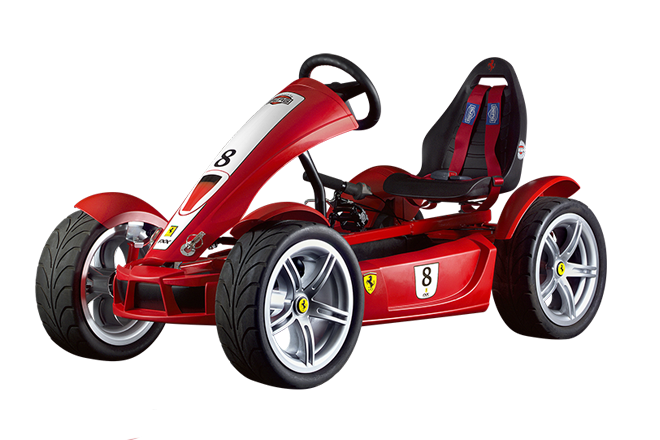 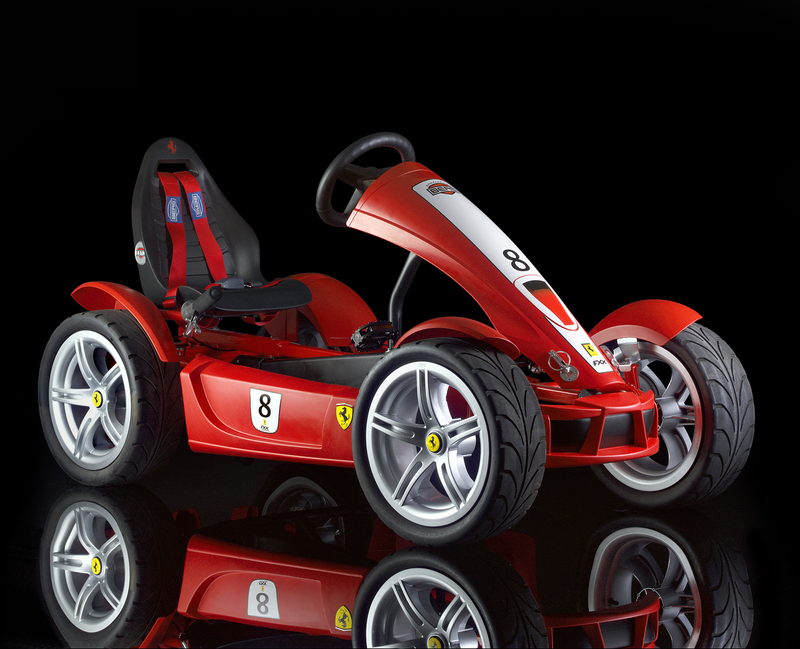 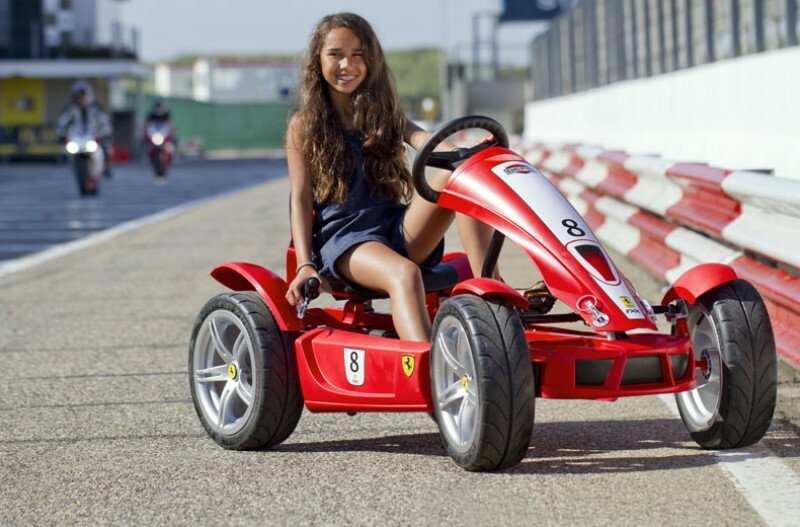 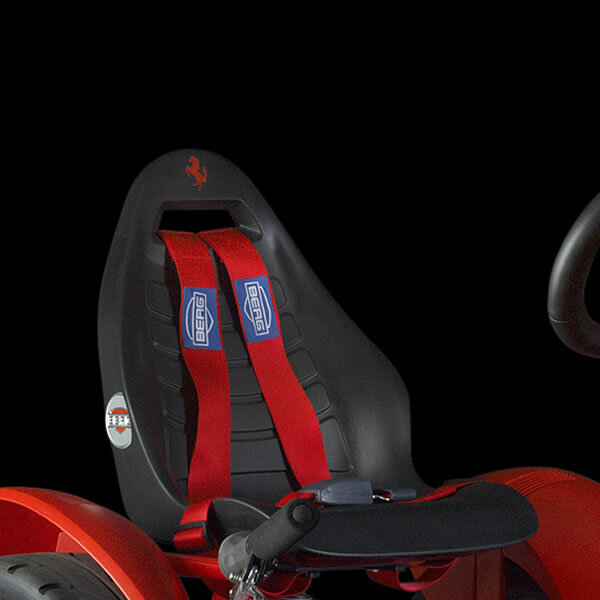 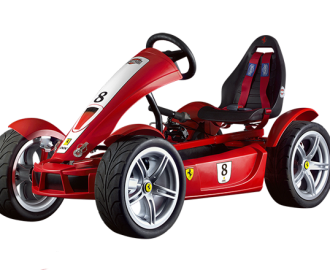 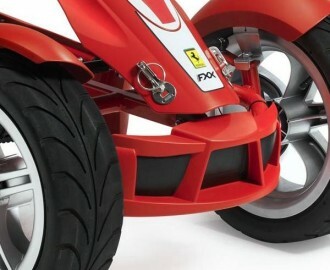 You really want to be seen with this go-kart, the Ferrari FXX Exclusive. 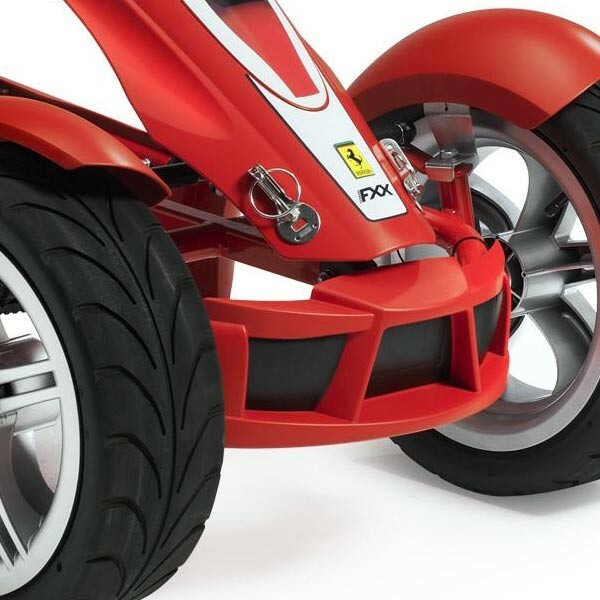 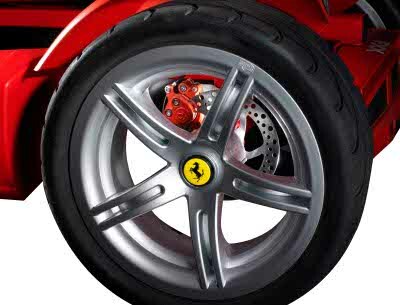 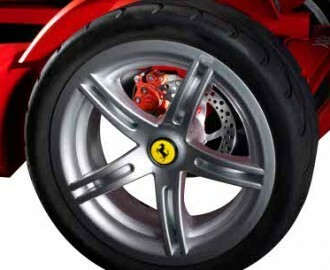 Thanks to its aerodynamic spoilers, 12-inch lightweight metal wheel rims and 7 gears, the Ferrari FXX Exclusive is an impressive presence. 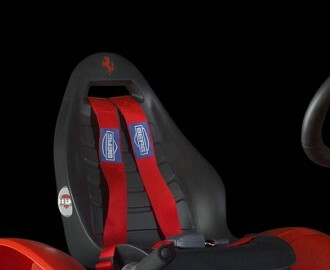 That’s why the double disc-brake, dashboard computer, soft sport seat and a soft-grip leather look steering wheel on this model are a necessity.